It’s 1989 and Rae is a fat, boy-mad 17-year-old girl, living in Stamford, Lincolnshire with her mum and their deaf white cat in a council house with a mint off-green bath suite and a larder Rae can’t keep away from. This is the hilarious and touching real-life diary she kept during that fateful year – with characters like her evil best friend Bethany, Bethany’s besotted boyfriend, and the boys from the grammar school up the road (who have code names like Haddock and Battered Sausage). My Fat, Mad Teenage Diary evokes a vanished time when Charles and Di are still together, the Berlin wall is up, Kylie is expected to disappear from the charts at any moment and it’s £1 for a Snakebite and Black in the Vaults pub. My Fat, Mad Teenage Diary will appeal to anyone who’s lived through the 1980s. But it will also strike a chord with anyone who’s ever been a confused, lonely teenager who clashes with their mother, takes themselves VERY seriously and has no idea how hilarious they are. 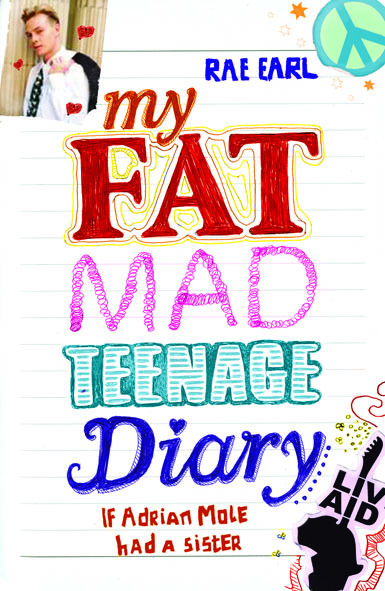 The TV tie-in for the drama series My Mad Fat Diary, broadcast on e4 in January 2013. Watch on 4OD. A second series aired in Jan/Feb 2014. See more about Series Two here. 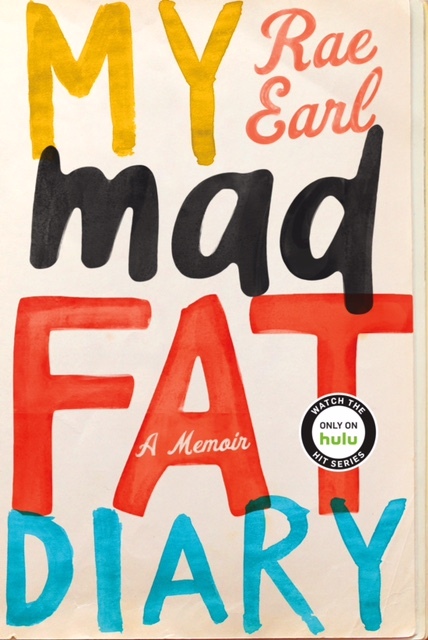 Find My Mad Fat Diary at Amazon. Please let it be true that men secretly fancy Alison Moyet and Dawn French... Please make my big personality count more than a little waist squeezed into something small and revealing... Please let my inner beauty REALLY matter like Oprah Winfrey says it does, and let me grow up to look like Kylie Minogue... So some man can free my inner minx that’s squashed underneath these pounds of flesh... And please... Oh, please... Make Walkers prawn cocktail crisps fat-free. Amen. PS Even Dannii Minogue will do. So this little fat girl was fed up, lonely and stuck in a small town in the 1980s surrounded by a sea of thin. Every day I boiled over with a stew of hormones, sexual frustration, jealousy and lust, and so, as all these things were banned in Lincolnshire until the late 1990s, I threw down everything I felt into three top-secret exercise books I’d nicked from school. That’s where the diary started.